Consciousness, per Morsella's theory, is more reflexive and less purposeful than conventional wisdom would dictate. Because the human mind experiences its own consciousness as sifting through urges, thoughts, feelings and physical actions, people understand their consciousness to be in control of these myriad impulses. But in reality, Morsella argues, consciousness does the same simple task over and over, giving the impression that it is doing more than it actually is. "We have long thought consciousness solved problems and had many moving parts, but it's much more basic and static," Morsella said. "This theory is very counterintuitive. It goes against our everyday way of thinking." According to Morsella's framework, the "free will" that people typically attribute to their conscious mind -- the idea that our consciousness, as a “decider,” guides us to a course of action -- does not exist. Instead, consciousness only relays information to control "voluntary" action, or goal-oriented movement involving the skeletal muscle system. Compare consciousness to the Internet, Morsella suggested. The Internet can be used to buy books, reserve a hotel room and complete thousands of other tasks. Taken at face value, it would seem incredibly powerful. But, in actuality, a person in front of a laptop or clicking away on a smartphone is running the show -- the Internet is just being made to perform the same basic process, without any free will of its own. The Passive Frame Theory also defies the intuitive belief that one conscious thought leads to another. "One thought doesn't know about the other, they just often have access to and are acting upon the same, unconscious information," Morsella said. "You have one thought and then another, and you think that one thought leads to the next, but this doesn't seem to be the way the process actually works." The theory, which took Morsella and his team more than 10 years to develop, can be difficult to accept at first, he said. "The number one reason it's taken so long to reach this conclusion is because people confuse what consciousness is for with what they think they use it for," Morsella said. "Also, most approaches to consciousness focus on perception rather than action." 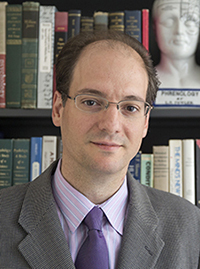 The theory has major implications for the study of mental disorders, Morsella said. "Why do you have an urge or thought that you shouldn't be having? Because, in a sense, the consciousness system doesn't know that you shouldn't be thinking about something," Morsella said. "An urge generator doesn't know that an urge is irrelevant to other thoughts or ongoing action." The study of consciousness is complicated, Morsella added, because of the inherent difficulty of applying the conscious mind to study itself. "Homing in on consciousness in the nervous system: an action-based synthesis" by Ezequiel Morsella, Christine A. Godwin (Georgia Institute of Technology), Tiffany K. Jantz (University of Michigan), Stephen C. Krieger (Mount Sinai Medical Center), Adam Gazzaley (University of California, San Francisco) was published online in Behavioral and Brain Sciences on June 22. Godwin and Jantz are former members of Morsella's lab at SF State.